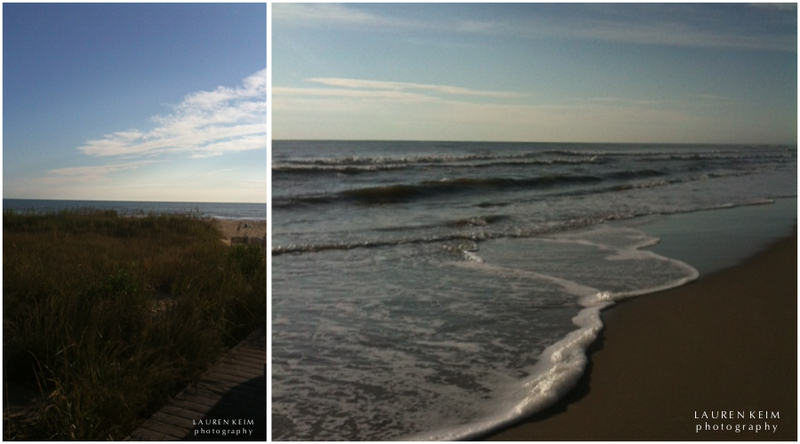 I told you last Friday that I started my day with a walk along the Atlantic. I clearly need to do this more often. We're not all that close to the ocean, really. I mean, I know I shouldn't complain, but when your preference is to step outside or cross the street or walk down the block, well sometimes the drive can seem a bit far. Still, after dropping Callum off at school, it's only an extra 20 minutes before my toes are in the sand, and I can feel every fibre of my soul relax. The beach is different in September. The light is lower and more golden. The bite in the air invigorates. The crowds are gone, minus a few loping doggies, happily roaming off leash as their people lag behind. I seemed to be the most purposeful walker, most of the very few other people I saw were much less hurried. My goal for the walk was to unplug entirely, but I didn't have my watch, so I brought my phone. In a way, I'm glad I did. I took these pictures, and I got to see each of your suggestions about what pictures to take. I felt disconnected and yet connected too. I thought about the blog a lot and taking photographs. I let my thoughts drift and recede like the waves. I got practical. Is it possible to continue these walks through the winter? It doesn't get that cold here. I have a friend from high school who just announced a move to Alaska on facebook, a move that she said she was planning on surviving with these. I wonder if that would make walking on a winter beach manageable. (Or in Nantucket, right, Megan?) Or if it's even necessary! Maybe I should ask Theresa to do a Wear in the World for Winter Beach Walks. Her beaches are a lot warmer in the winter are mine though. I thought about bringing one of my own doggies. Provided she'd earned the privilege. Maybe one day. I thought about coming alone, each week, or sometimes with company. It all sounds good. I didn't stay as long as I wanted (had to pee), but it did me a world of good. When a place sings to your soul, and it really is right outside your door, why shouldn't you make an effort to get there more? Callum and I went back yesterday (he had the day off school) with every intention for a nice long walk. When we got to our spot, however, we were mesmerized by a low, low tide and swarms of dolphins swiming close to shore. It was hard not to get rooted. Cal ran some seven-second sprints to get ready for a meet he has today, but mostly we drifted from spot to spot, watching the dolphins leap. We could have stayed all day.